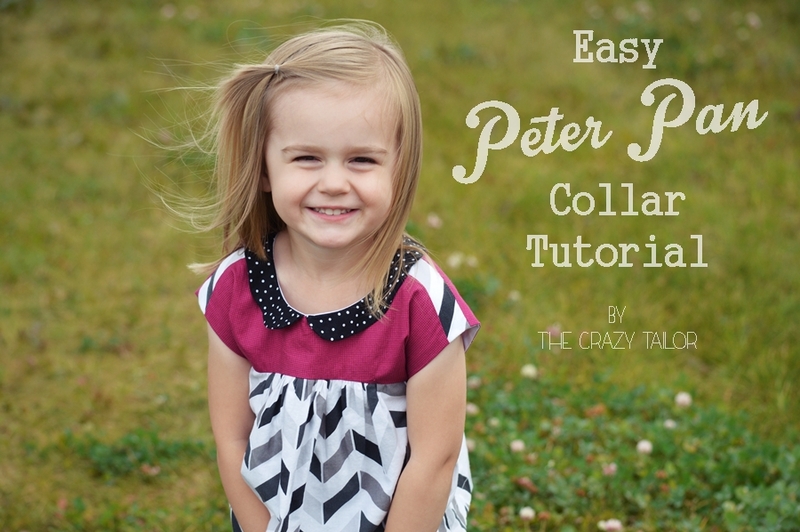 Easy Peter Pan Collar Tutorial - Peek-a-Boo Pages - Patterns, Fabric & More! 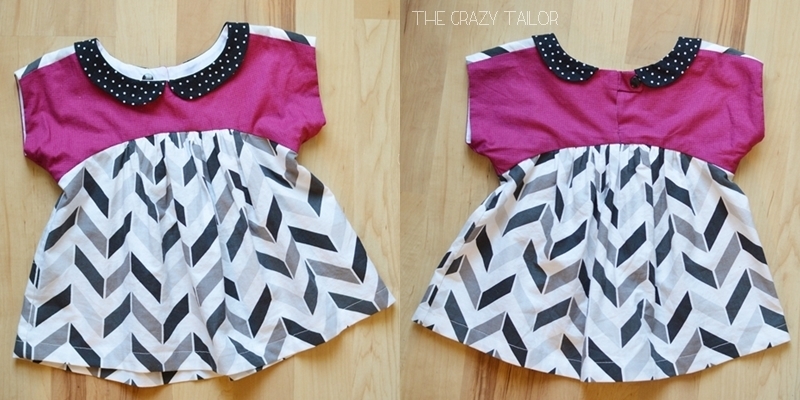 Today we have Sarah of The Crazy Tailor from our contributor team here with a fabulous tutorial! 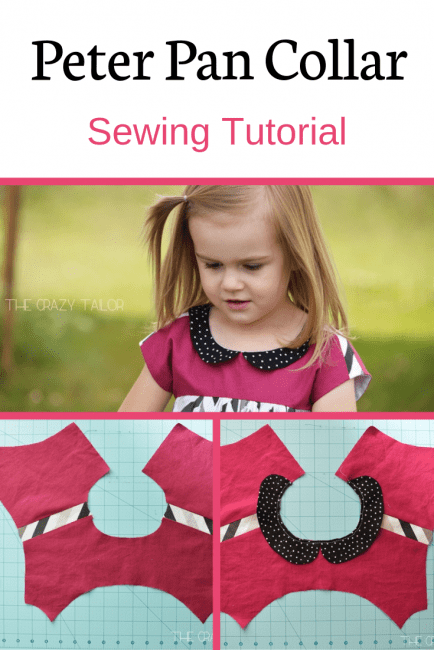 I absolutely adore peter pan collars and with this easy tutorial you’ll want to stick them on everything 🙂 If your child attends a school with a dress code this is a great way to make your favorite pattern dress code friendly! 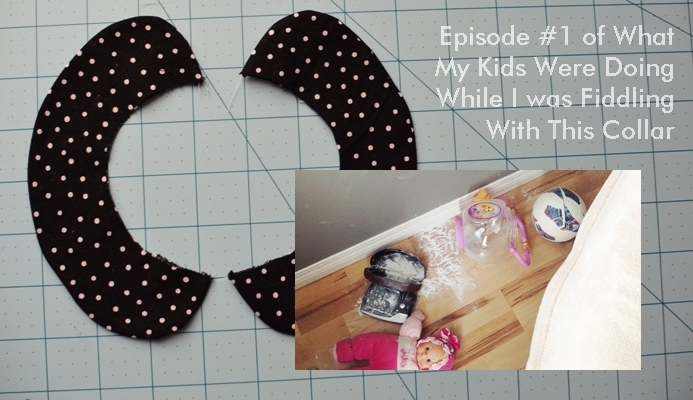 I’ve got a great little tutorial for you on drafting your own Peter Pan collar! I firmly believe the Peter Pan classic collar is here to stay. It’s timeless, and takes any dress or top up a notch. 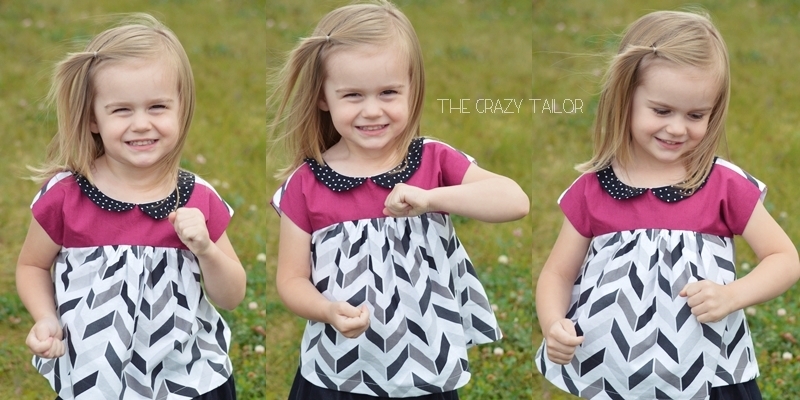 Plus, it’s a fun way to add some unexpected color or pattern to a garment. 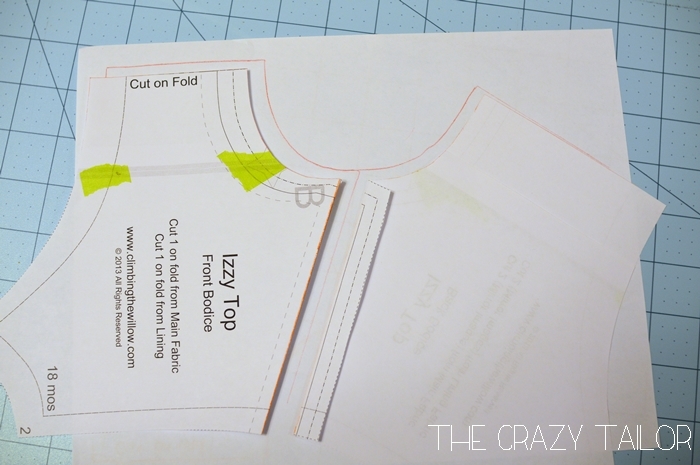 In this tutorial, I will be showing you how to draft and add a collar to a simple lined top. 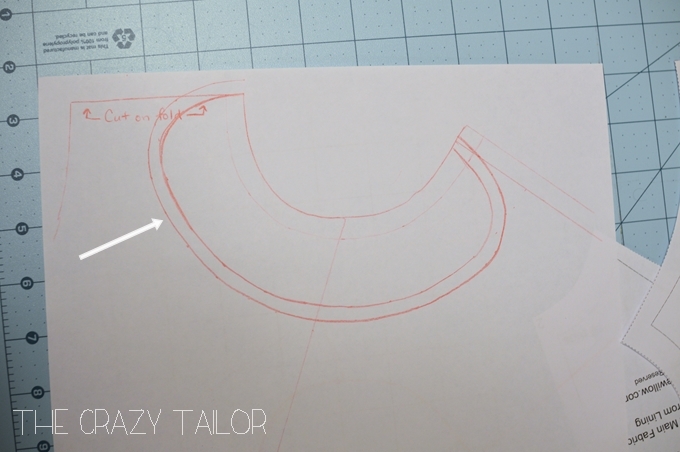 This method could be used on any rounded neckline pattern that is lined (or bias/facing finished). 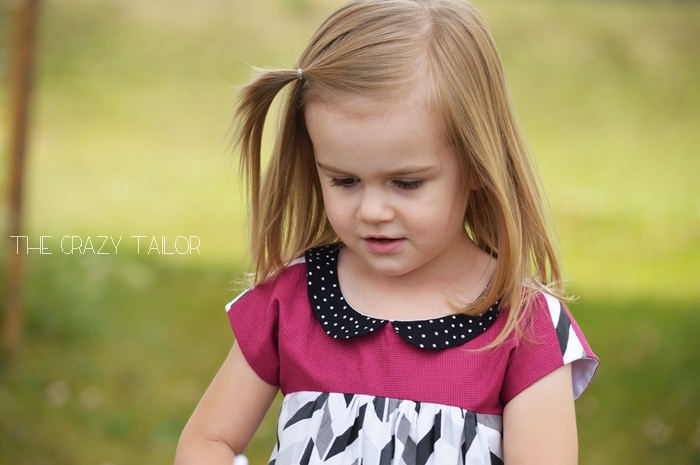 Just to get you started, here are a few patterns that you could use: Savannah Pleated Party Dress, Hopscotch Top/Dress and the Vivienne Party Dress. 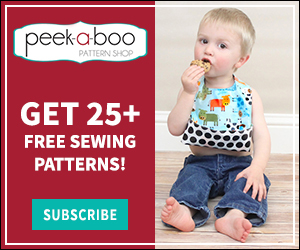 If you plan to use a pattern that has some piecing happening with the bodice (like the Hopscotch) or some pleating (like the Savannah) then you would want to be sure to tape the appropriate pieces together with seam allowances included (just like you’ll read below) to allow you to trace the actual neckline. 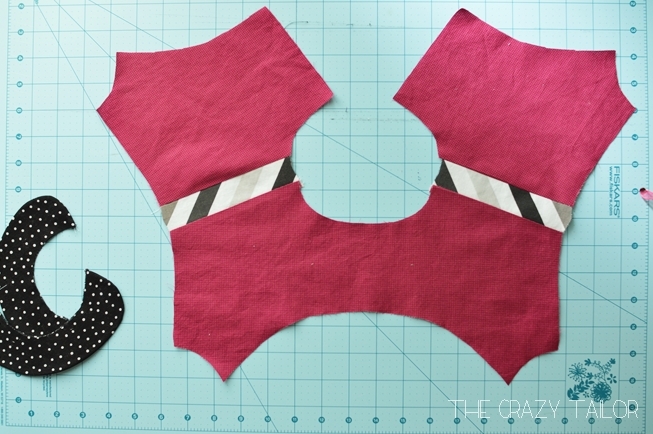 So to begin, grab your bodice pattern pieces. We’ll be focusing on the shoulder seams. 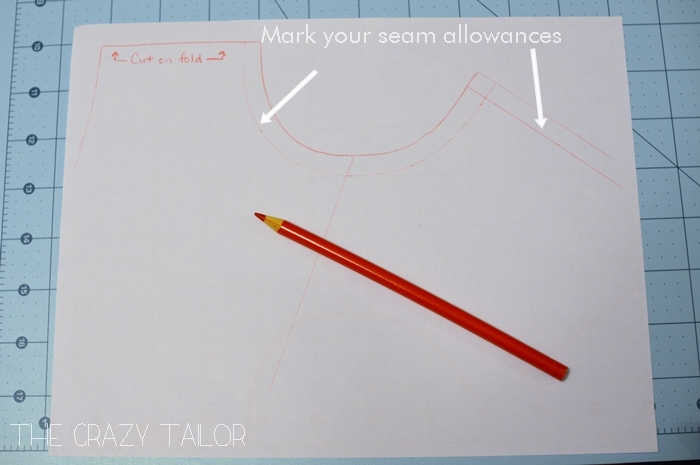 Make sure that you know what your seam allowance is for the pattern. Mark your seam allowance on the shoulder seams of both pieces. 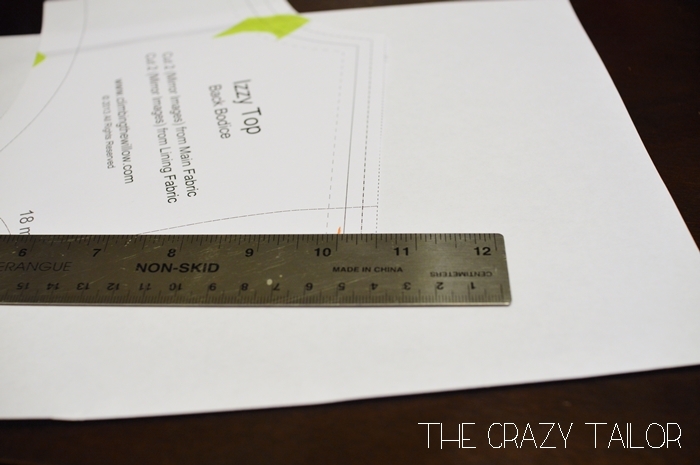 Mine was 1/2″ so I used a ruler to draw a line at that point. Yes, that is painter’s tape. You do what you’ve gotta do when you need a pattern put together, amiright? 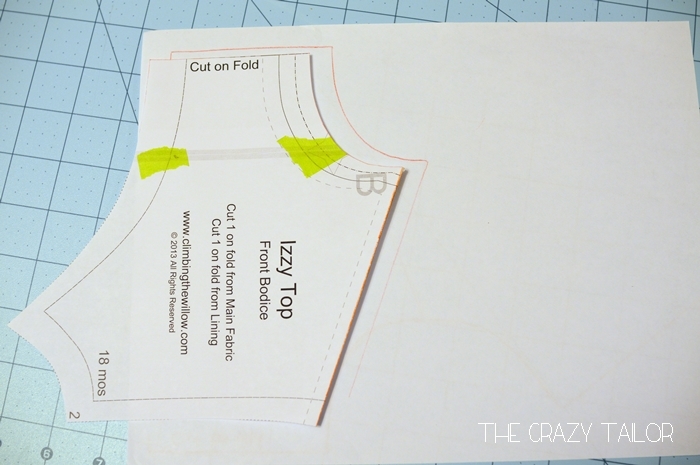 Fold your patterns along the seam allowance mark you just made. 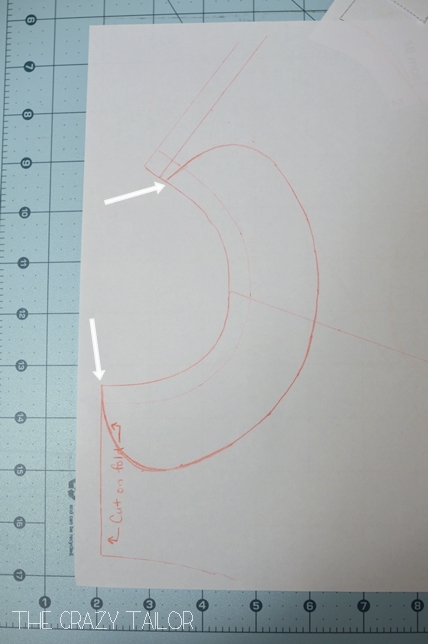 Take the front bodice and lay that onto a piece of paper and trace around, from the front fold line, around the neck curve and then down the shoulder, as indicated. For kids patterns, an 8.5″x 11″ piece should be fine…for adult clothing, you may want to tape some paper together. 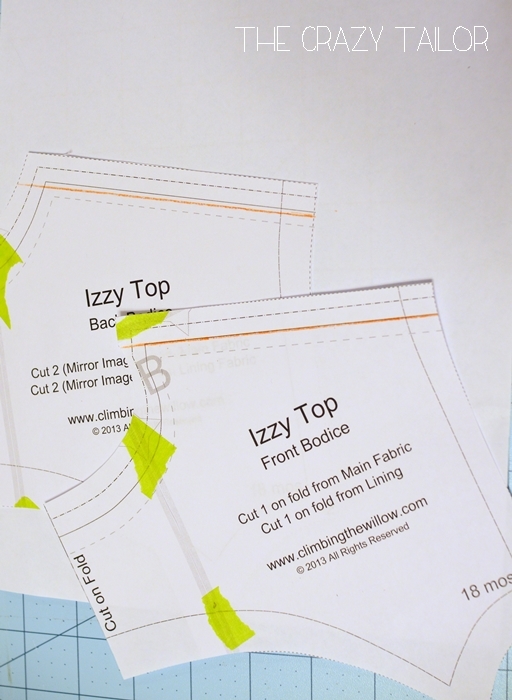 Next, you’ll want to mark your seam allowance along the neckline and the back seam, that way you will get a better idea of what size your finished collar will be and where it should end at the back. If your back bodice closes with more than just a regular seam allowance (for instance, a button placket with overlap) make note of how much you will need for that, and mark it off on the pattern. Then you won’t have a collar ending over top of where buttons need to go. (note: this can also be done on any dress that buttons up the front – you would just be doing it the opposite way). My top pattern had a little snap tab that didn’t require any overlap of the back bodice pieces. Decide how wide or narrow you want your collar to be. I chose to do a smaller one for this top, and I love the dainty feel it gives! I used a measurement of 1 1/4″ from the neck seam allowance marking. Mark in intervals all around your neck line. Connect the dots using a french curve or just with a smooth hand. 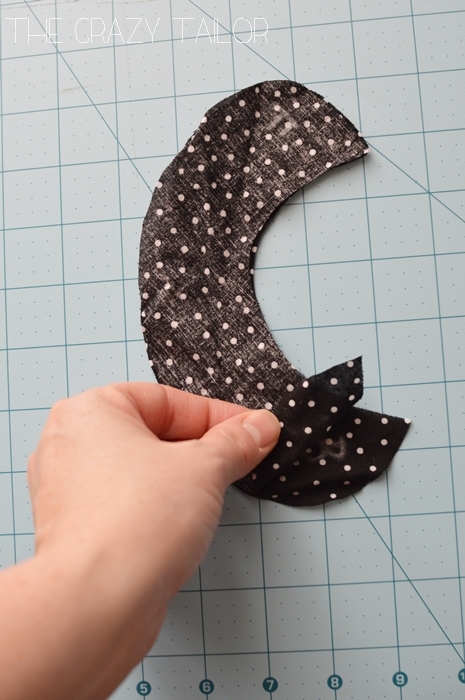 Curve up the ends of the collar to end right at center front, and then to end at your determined back position (again, depending upon your back closure). Make sure that it is a shape that you like, and then add your seam allowance to the collar. I used 1/4″ since I’ll be trimming it a bit after anyway. There you go! Your pattern is done! Cut along the outer lines of the collar and neckline. You’ll need to cut 4 of these in your fabric in total, with two in reverse (or two mirror image). If you are using a flimsy material, you may want to cut out and add a light fusible interfacing as well. 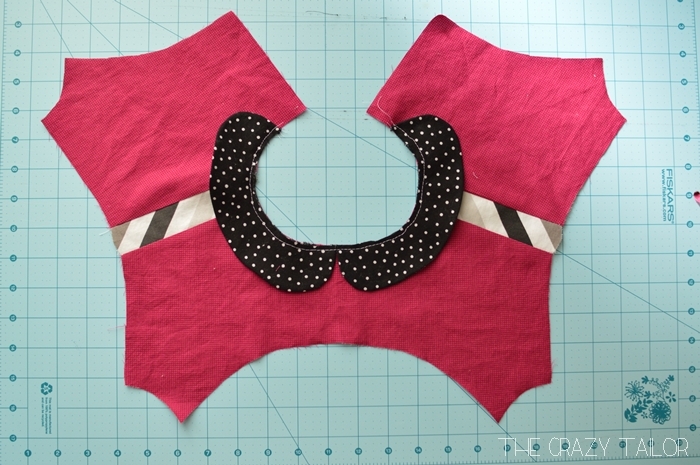 Pin two collar pieces right sides together (RST) and sew at 1/4″ seam allowance along the longer curved edge. Leave the neckline open. I like to trim down my seam allowances to about 1/8″. Or you could just clip the curves. Also, I marked which was the front and back on the collar…they look very similar, but won’t fit on your neckline just any old way. Turn them right side out and press well. Note the silence of your children. Haha. Ok, so now you’ll want to sew the shoulder seams of the main fabric of your dress/top together and press. 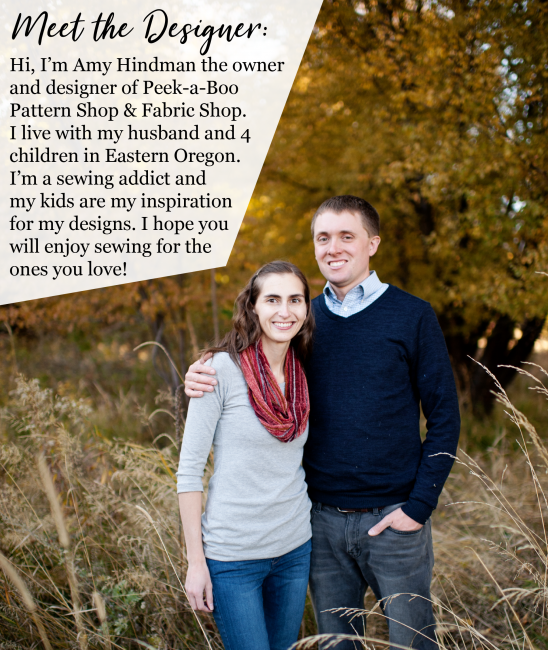 If you have any piecing or pleating to do, that needs to be done now as well. 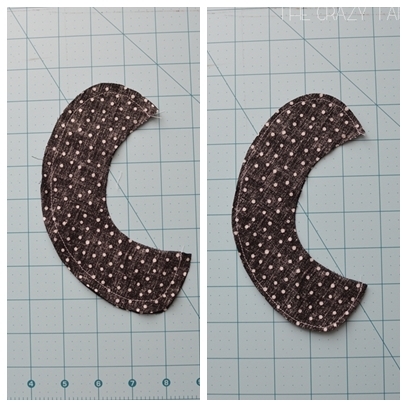 Find the center of your front bodice and mark it. 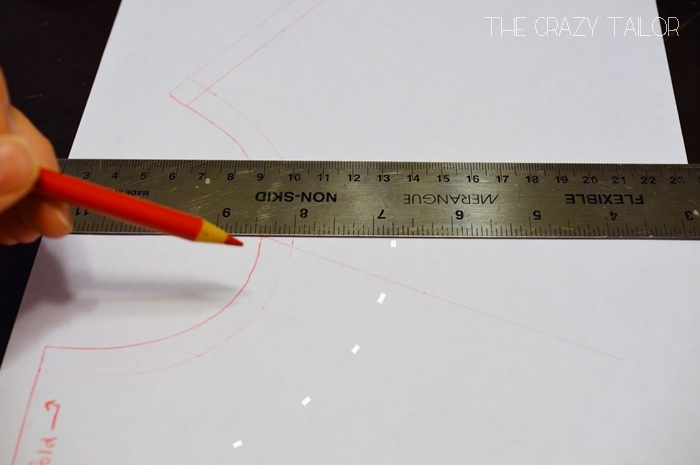 Pin your collar pieces in place and baste 1/4″ from the raw edge. You can treat your bodice and collar as one piece now and finish your garment as directed. I’m not exactly sure what she was up to here, but at least I got some smiles! 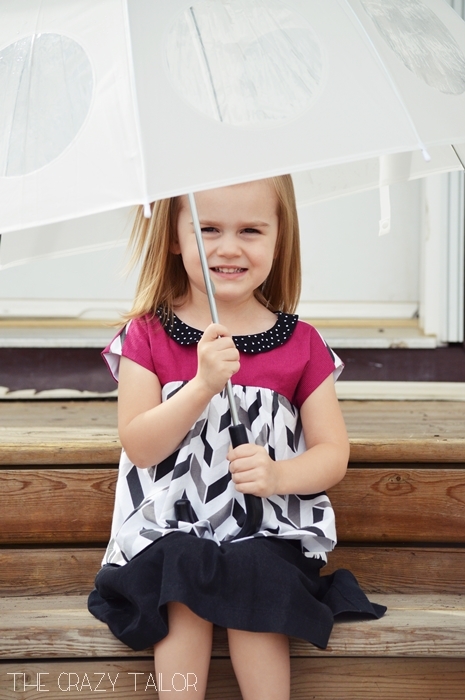 We’ve had so much rain lately…she was just happy to be outside!